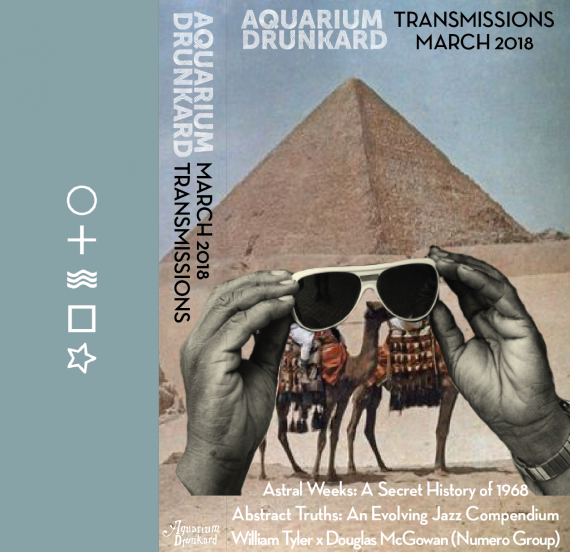 Welcome to the March installment of Aquarium Drunkard’s recurring Transmissions podcast, a series of interviews and audio esoterica. This month, we’re centering in on a sense of place. First, we sit down with author and musician Ryan H. Walsh to discuss his new book, Astral Weeks: A Secret History of 1968. In ’68, Boston was roiling with counter-culture activity. Occult circles were thriving; the underground press was emerging; the Velvet Underground, on loan from New York, was playing transcendent sets at the Boston Tea Party. 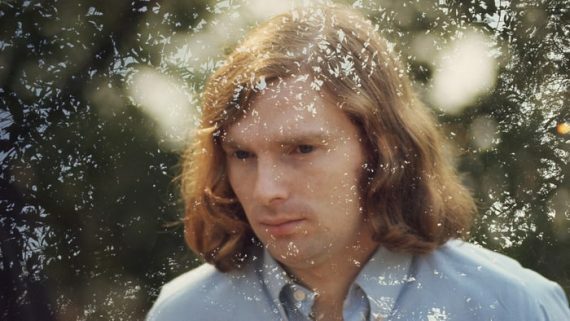 And through it all, Irish R&B singer Van Morrison was quietly — and often not so quietly — tapping into the vibes that would help birth his soul-folk masterpiece, Astral Weeks. Walsh, best known for his work with the indie rock outfit Hallelujah the Hills, details it all in his personal and poetic new book. Next, guitarist and writer William Tyler sits down with Douglas Mcgowan of Yoga Records and Numero Group to discuss the process of turning the pioneering vinyl soundscapes series Environments into a functional, immersive app for iOS devices. Designed with relaxation and contemplation in mind — to aurally transport listeners to settings of tranquility — the app recontextualizes sound recordist Irv Teibel’s original aim of providing calm and peace in a noisy world, redefining the notions of a “reissue” in the process. And finally, we close out the show with a look at our Abstract Truths: An Evolving Jazz Compendium mixtape series, which offers jazz collectors and thinkers a platform for exploring what jazz means in 2018, examining its past, untold stories, modern resonance. Where is jazz going? And what unique role does Los Angeles play in its future? 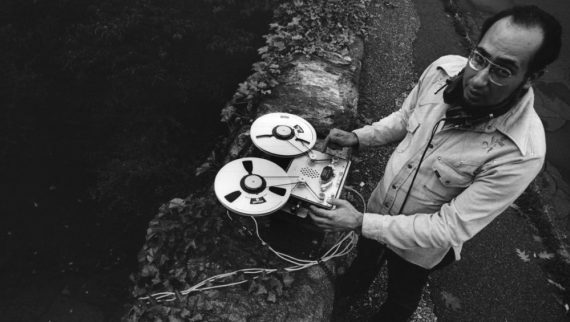 “The music of the future isn’t music,” said Irv Teibel, the pioneering sound recordist once said. It was this spirit that guided him to create the Environments series, an 11-volume collection of ambient natural sounds, including rain, wind, ocean waves, the human heartbeat, and many more, recorded to analog tape. You’ve probably seen them while parsing through used records in shops. Strikingly packaged and curated, they were a massive hit — sounds made for functional use in people’s lives, made for their times mediating, sleeping, and relaxing. Earlier this year, the Numero Group teamed with Syntonic Research, Inc. to bring the late Teibel’s vision to the iPhone and iPad. Producer Douglas Mcgowan helped bring to light the idea of new age music as popular folk art. His 2013 Light in the Attic anthology, I Am The Center: Private Issue New Age In America, 1950-1990, shined fresh light on the genre, and his efforts with Numero Group, includes collections of work by Iasos, Laraaji, and the late Joanna Brouk, has continued to redefine how listeners hear “new age” sounds. With the Environments app, Mcgowan and the label reimagine the interactive ways we might engage with sound moving forward. Guitarist and writer William Tyler sat down with Mcgowan in Los Angeles to discuss the ambitious project. 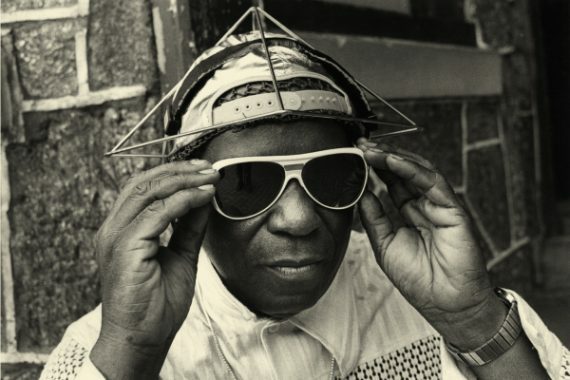 A few years back, Aquarium Drunkard leader Justin Gage came across a survey that stated that, according to Neilson, jazz now held the dubious honor of being the least listened to genre in the US. So what to make of that knowledge? What does jazz mean in 2018? To drum up some answers, we turned to friends with a deep knowledge on the subject, Zach Cowie, Carlos Niî±o, Eothen ‘Egon’ Alapatt, David Katznelson, and Scottie McNiece, each of whom has contributed a mixtape to our Abstract Truths: An Evolving Jazz Compendium. On this episode, we discuss how jazz is evolving and the role Los Angeles is playing in that constant mutation. Thanks for listening to the Transmissions podcast. Help us out by subscribing to the Aquarium Drunkard podcast on iTunes, on Spotify, Mixcloud, Tune In, or via the RSS feed. Please rate and review the show, or even better, share it directly with friends. Dig into the podcast archives, which include interviews with Laraaji, Tim Heidecker, Eileen Myles, Daniel Lanois, Hiss Golden Messenger, Ryley Walker, Eleanor Friedberger, Idris Ackamoor, and many more.